SUPERSTAR singer, Ayodeji Balogun, popularly known as Wizkid seems to be enmeshed in another controversy, not long after the last one with a celebrity blogger. The Nation reports that the Ojuelegba crooner has drawn the ire of a UK based entertainment company for failing to honour performance agreements. The company; Humble Entertainment expressed displeasure at Wizkid’s failure to show up at their recent The SafariNight3, even though he was booked and paid to perform at the event which has played host to the likes of Davido, Wande Coal and Dr. SID. 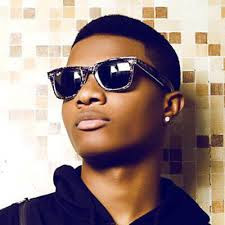 The Humble Entertainment management in a letter of May 26, 2016 claimed that Wizkid failed to honour their agreement even though he had been booked, and paid, in addition to meeting all other requirements. Excerpts of the company’s letter state “Humble Entertainments first and foremost would like to express our sincere apologies for any inconvenience and disappointment caused by Wizkid being unable to attend our event.